The contact management needs of small businesses are quite varied. Thankfully the contact manager market offers a diverse array of programs. Some offer nearly everything a small business might need. Others with a more limited selection of features may be just right for you. Each program listed here features a short description intended to give you an idea of whether or not it might be well suited to your business needs. The methodology we used to determine the rankings in this list is described at the bottom of the article. In the event of a points tie, the lower-priced offering is ranked higher. This is a personal contact manager perfect for freelancers, independent contractors, and other small personal businesses. The goal of this app is to integrate the address book features on apps you already use. 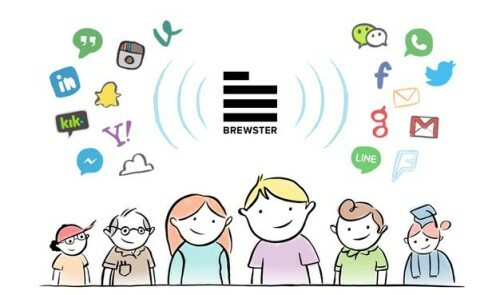 Brewster syncs with all your social media and communications accounts. The app then organizes all relevant information in one address book. If you purchase a premium account, Brewster will track your contacts across all platforms in real time as their information changes, updating your Brewster address book. Insight offers a 21 day demo after which you must purchase a license key to unlock the software. You buy a license for each individual user, eliminating the hassle of worrying about subscriptions. There are a wide range of packages available and some of the more expensive packages offer more features for a minimal price increase. ACT! has been a popular small business contact and customer management application for 25 years. This program is an ideal choice for businesses in need of a powerful contact management suite that includes intelligent call lists. The program is designed to maintain your contacts, drive sales, and market your products. 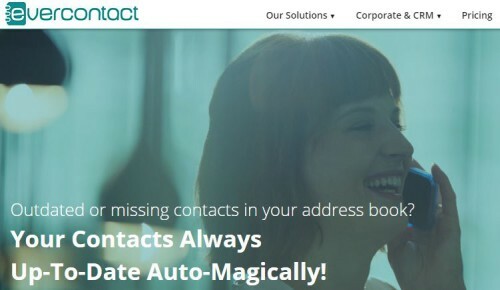 ContactSatori has a feature that maintains contact information synchronization between users. The software integrates easily with Google Contacts, mobile technology and Microsoft Outlook. ContactSatori is a good option for businesses looking to maintain synchronized contact information among their staff. The free basic plan is a fine way to test out the features of CoContacts. The 100 contact limit means the basic plan is not intended to be a long term solution. The good news is that $25 per month gets you 100 users and 50k shared contacts. If your business grows to that size, you are only paying $0.25 per user per month. This UK based CRM and contact management software is an affordable option for small businesses. 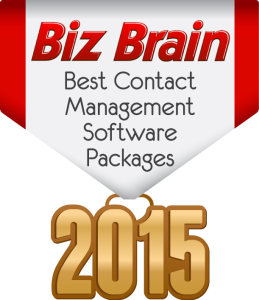 Contactfile Pro provides a strong (if basic) set of contact management features. The program performs lead management and hot prospecting if you buy the premium which is available at the price we listed. We have converted the price from the pound to the dollar for your convenience. Office Clip is designed to increase your security and productivity, while reducing your costs. By enabling you to more efficiently manage your contacts, Office Clip will help to streamline communication in your office. The enhanced security options mean the information of your contacts will be protected. Hyper Office is an office collaboration solution. In addition to its basic set of contact management tools you will also have access to a great suite of project management tools. 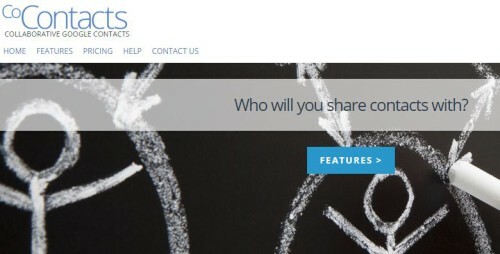 The contact management is integrated with the project management and provides a free flow of information between the two sides of the software. Price: Starts at free, contact for further information. ContactMe is a basic, simple contact manager and CRM. It’s cheap, syncs with gmail and social media, and it’s cloud based and accessible from anywhere. The company also makes a social media marketing program called Pagemodo that integrates flawlessly with ContactMe. Chaos Intellect is not subscription or cloud based. Instead businesses pay a large up front license fee per user. Chaos Intellect makes a variety of business software; the contact manager is called Time and Chaos. It’s both a time management and contact management tool. Chaos Intellect allows you to try Time and Chaos, free of charge, for 21 days. Batchbook’s subscription of $46 per month includes unlimited users and 10,000 contacts. The priciest plan tops out at 30,000 contacts. If your business has more contacts than that, you are too big for batchbook. This small business CRM is designed to integrate seamlessly with major apps like QuickBooks, Google Apps, Disqus, and major social media outlets. Full Contact recently bought another small contact management company. Combining their services has allowed them to increase the number of features offered. 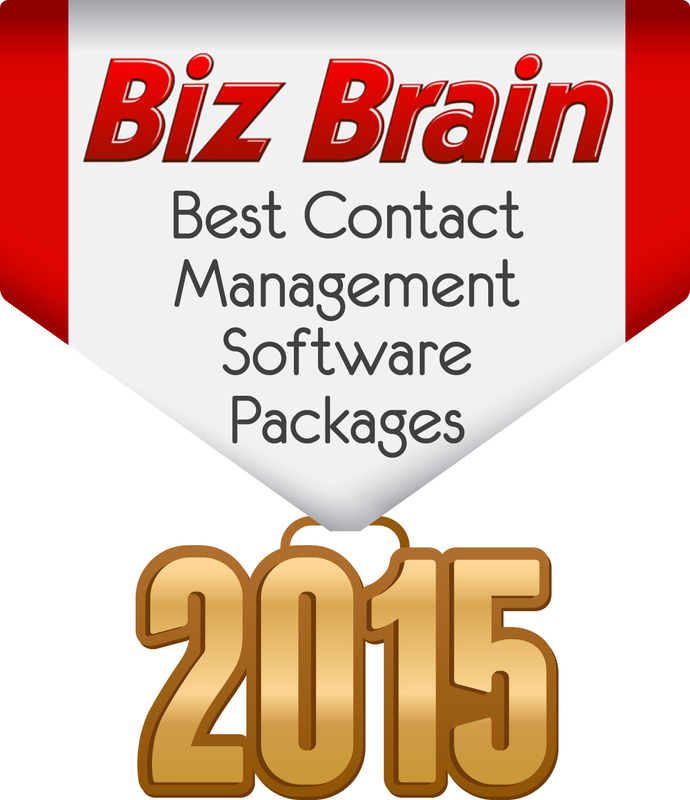 This small business contact management software can handle up to 25,000 contacts. The software automatically synchronizes your contacts every 20 minutes. Every day Full Contact searches for new public information about your contacts and updates their information. Contact Hero is a cloud based contact management suite that places a strong emphasis on productivity tracking. This is ideal for call centers because it allows you to see the number of calls made, contact follow up rates, and the rate of new contact addition over time. Contacts are grouped by time zone. This ensures contacts in different time zones will be contacted during acceptable hours. Contactually is designed to help businesses build important relationships with their customers and other businesses. Contactually prompts you when it’s time to follow up with a contact. It also connects to your email, social networking, and other business applications, keeping track of all your important contacts’ information automatically. The software is available to try for free. 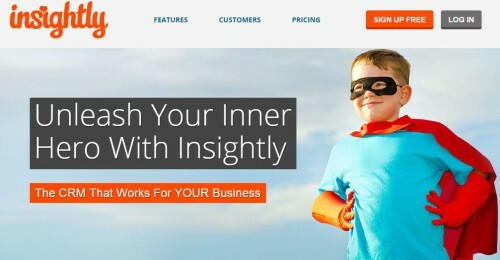 Insightly is a fully featured CRM. The businesses best positioned to take advantage of Insightly are those that can benefit from its powerful lead and vendor management solutions. All the information you need on every contact, from email history to event details, is just a click away. Google Contacts for personal use is free with any Google account. If you just need a one person contact manager, you have full and free access to Google Contacts’ powerful contact management suite. However, if you have a small business and wish to share contacts among your crew, then you will want Google Shared Contacts. There is a free trial, and it’s easy to set up because most people already have a gmail account. The price listed here is for 11-20 users. The price reduces drastically for smaller businesses. Google Contacts is one of the best options for any small business in need of a contact manager. Evercontact is designed to integrate with software you already use including apps like outlook, gmail, or sales force. The app syncs information between supported applications and keeps everything up to date automatically. This is a powerful solution that can turn your basic, everyday communication apps into a well oiled contact management machine. 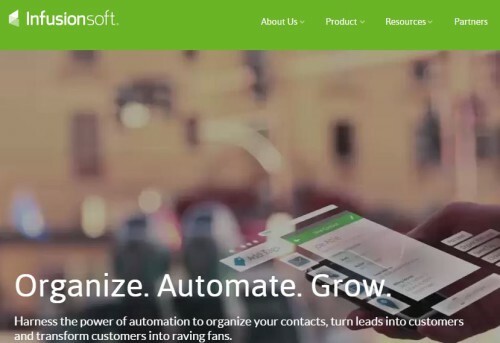 Infusionsoft is a top of the line sales CRM that offers powerful contact management tools. While expensive, small businesses involved in sales will find this program has been designed specifically to meet their needs. The listed price allows four users access to the full program. Highrise is the only contact management system on this list that nails every single one of the most essential features. Highrise excels on several levels. 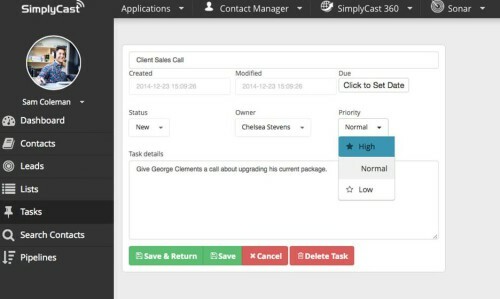 This contact manager can integrate with business apps of every stripe including most major sales and marketing, productivity, and customer service apps. The price is fantastic, and highrise gives small businesses the room they need to grow. We have identified ten of the most important features to look for in contact managers. Our rating is simply a number out of ten that reflects how many of these features are offered by the given program. In the case of a tie, preference is given to the most affordable of the two programs.